Make home pedicures a breeze with the Stedi Pedi™. This ingenious pedicure tool inserts under a chair cushion or mattress, giving you a comfortable and secure place to polish or cut your toenails or fingernails. 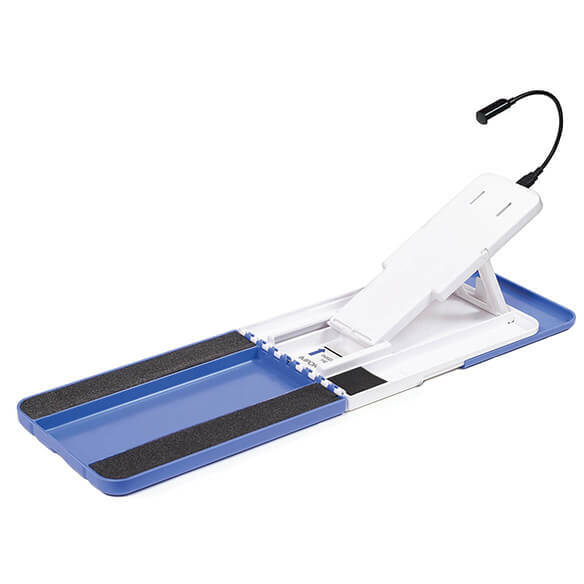 The bright LED task light makes it easy to see what you’re doing. A side compartment for nail polish bottles keeps them within easy reach. Pull-out drip tray protects from spills. Folds for storage. It's hard to perform my own pedicures at age 62. Hopefully this will make it easier.